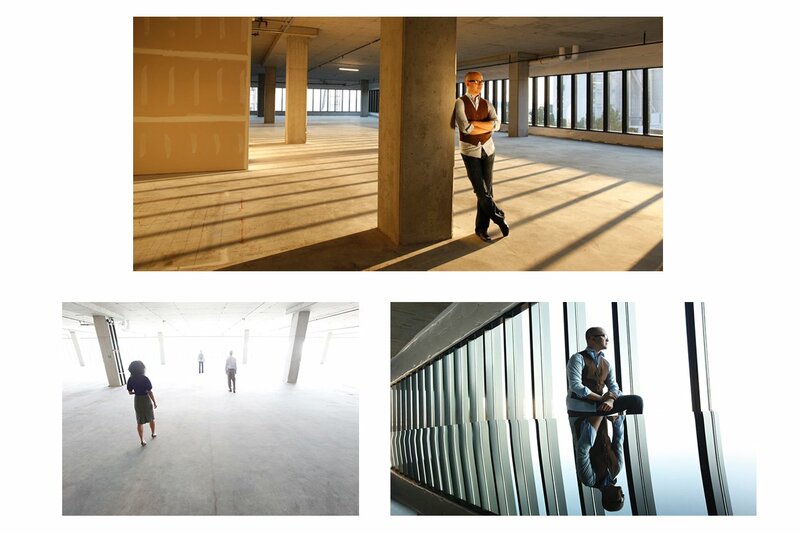 We are always looking for new locations to shoot stock images. This is a perfect example of how we can use a location to create a new shoot. Mike Brixner, the property manager for Martin Selig Real Estate is an old friend and model I worked with in years past. He showed me this raw space down by the waterfront in Seattle and asked if I thought it could work as a stock shoot location. We almost jumped in his lap. 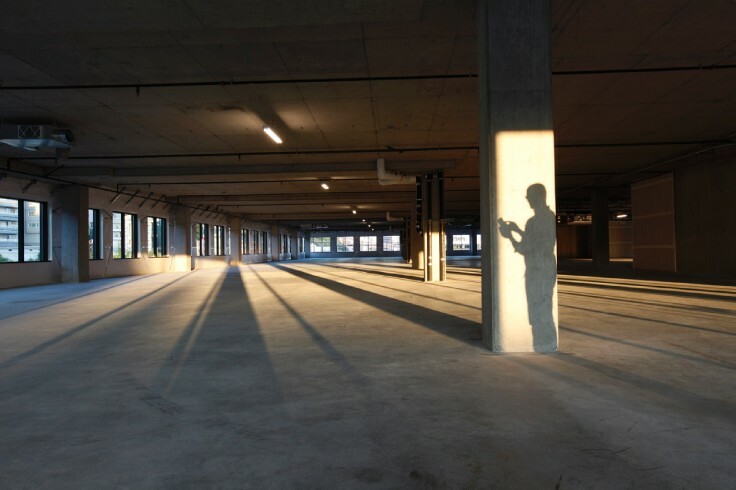 This is about the largest empty potential office space in Seattle. We knew it would be perfect for us. 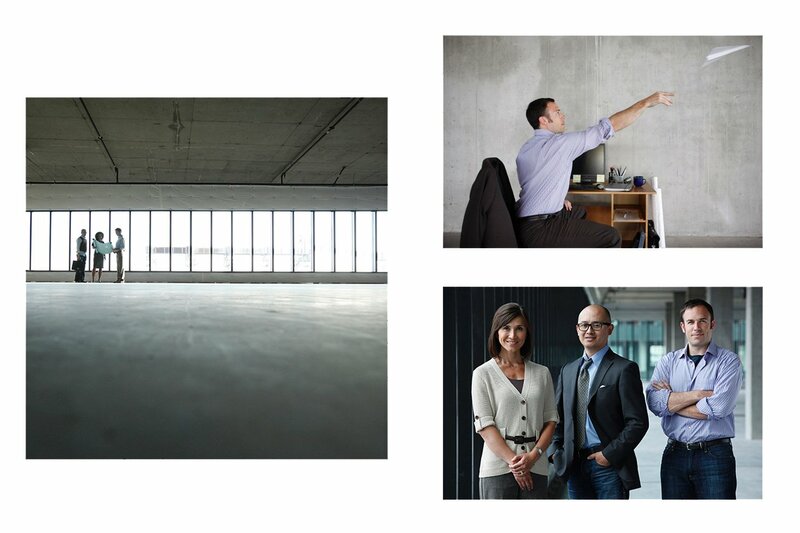 Stock photography is all about visual metaphors and this place was full of them. We needed some good models for this gig, so we called Jaki Dixon, Sulee Allen, Taylor Lopez, Leo Raymundo and Evan Johnson to help us out with this one. The summer temperature in Seattle was really hot and there was no air conditioning in the empty building, so it was miserable, but these guys hung in there for the whole shoot. Really impressive. Over the years, these stock shoots have evolved into something akin to what Leo described as an improvisational jazz concert. In the past, we used shoot lists and stuck pretty close to them, but at this point I pretty much know what a business stock shoot looks like. David Atkinson (our 2nd Jetta Productions shooter) and I split up the space and we react based on what we know works and what we hope works and what we discover works. We’re getting pretty smooth at covering most of the bases on these gigs. 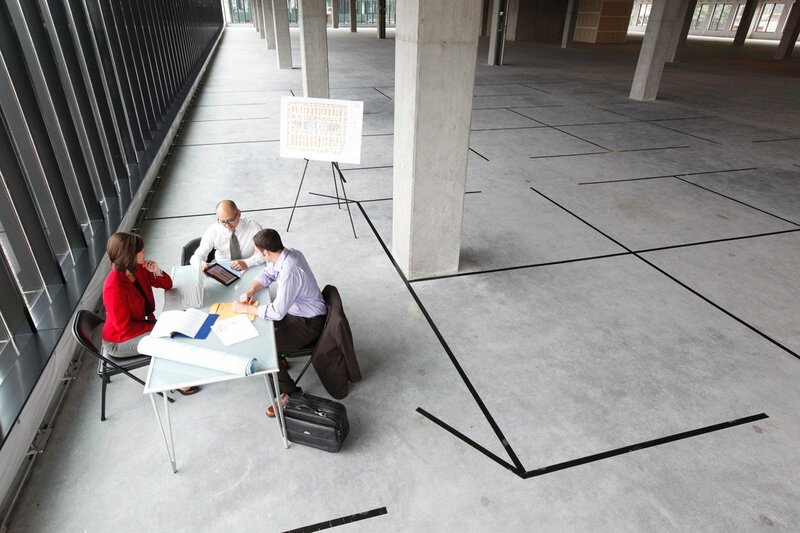 Bill Bon, our editor at Getty Images suggested we use the tape marks on the floor to simulate offices in the empty space. I think the images speak to that effort. 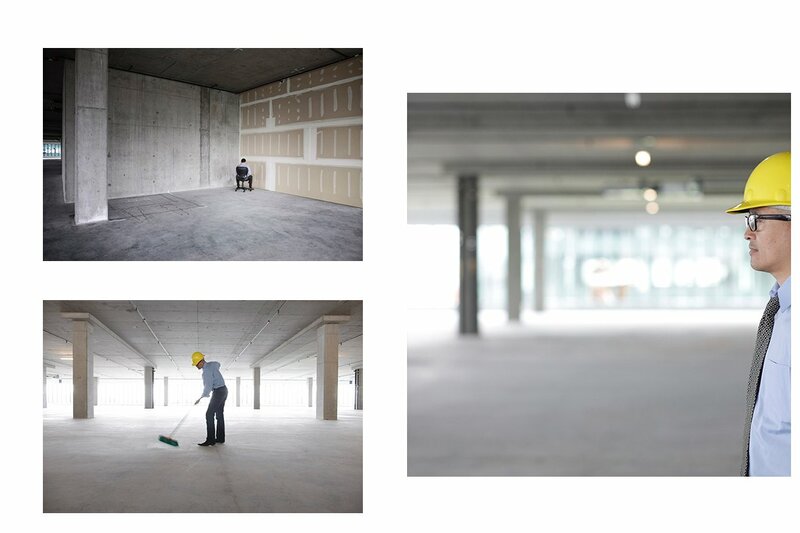 The metaphors of new business and business potential really worked in this large empty space.